The Drifter and the Gypsy is an album that should be an incoherent mess. 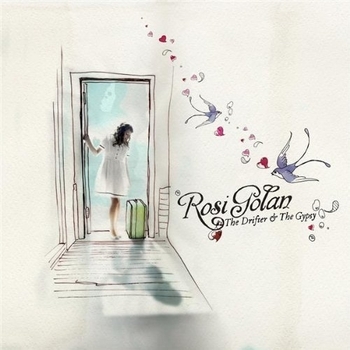 Although Rosi Golan had a hand in writing all of the songs, almost every one has a different co-writer or set of co-writers. C’est L’amour even has a different producer than the rest of the album. This suggests, a) that Golan probably only wrote the lyrics, and b) that the album is the work of a young artist who doesn’t know what she sounds like yet. But, that’s not what happens. The Drifter and the Gypsy is a coherent whole. Golan must have at least guided the writing of the music, because the whole thing hangs together well. And, although this is a debut album, Golan knows what she wants to do here, and gets it done. Golan presents a set of love songs. She dives into a one night stand in Paris in C’est L’amour. She describes the point at which she is ready for a long term commitment in Think of Me. She thinks of a love she may have given up too soon in Yesteryear. So love comes in many flavors here. It scares her sometimes, while at other times she basks in the joy of it. There is a push and pull on her heart. The sequencing of the songs might have told a linear story, but Golan has chosen not to do that. These are songs about emotional states, and emotions don’t come in a premeditated order. The whole thing feels instinctual and honest. Golan carries off these mood changes not just with her words, but more importantly with her voice. She can belt out a tune, although she never oversings. And she can also get all the emotion she needs with an almost whisper. Her dynamic range is impressive. She sings in a high alto, but the quality of her voice reminds me of Sarah McLaughlin, with some touches of Paula Cole. Some of the songs have mostly acoustic settings, with drums, stand up bass, and acoustic guitars. Others use drums, electric bass, and electric guitars, plus keyboards. The album closes with a beautiful piano ballad, Been a Long Day. A couple of other songs start as piano ballads, but then the full band joins in. And banjo, mandolin, and even ukulele appear to add flavor in places. Again, this could fly out all over the place, but it sounds nicely varied within a consistent style. What ties it all together is feel. All of this variety is used in the service of the songs and the emotions they convey. In her future, I would imagine that Golan will find co-writers that she prefers to work with. She may decide to write some songs solo. In living her life, she will experience a wider range of emotions. All of this should make this promising young artist even better. I’ll be eager to hear the results. My goal at Oliver di Place is to present the best music I can find. This provides, I believe, a valuable antidote to the cookie-cutter mentality especially at the major labels that results in so much pop music sounding the same. Nowhere is this approach more needed than in the category of kid’s music. The formula for kid’s music is to use simple-minded lyrics and the intrusion of squeaky high voices, that either are, or are trying to sound like, children. The playing and the arrangements are also simplistic. The result is often sappy and condescending at the same time. Actually, that’s not an easy combination to achieve! But kid’s music doesn’t have to be like that. The best kid’s music also appeals strongly to the parents. 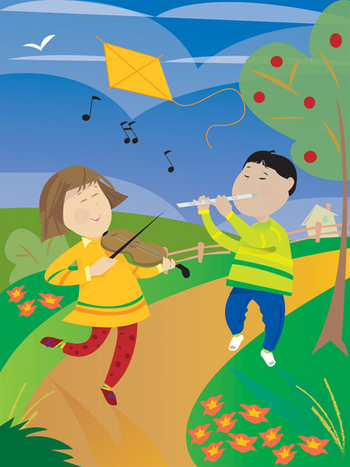 Many of the finest talents in folk music have tried their hands at music intended for children Nowadays, there are also artists from other genres who find themselves recording music for kids. Many of them started writing and recording music for children as a direct response to becoming parents themselves. So there is a ton of great music to choose from. The trick is finding the wheat among the vast amount of chaff. Let me be your guide. In putting this post together, I had to leave out a great deal of wonderful material. So this might become a series. Let me know in the comments if you would like to hear more. Let’s begin with a classic from my own childhood. Pete Seeger combines music and storytelling in his telling of the tale of Abiyoyo. The tale delights kids because it is laced with humor. It also has characters the kids can identify with: two normal sized people must overcome a fearsome giant, just as kids must learn to deal in a world where everyone is a giant compared to them. And the giant turns out to love music, as long as it has a good beat. Kids often feel the same way. Cathy Fink and Marcy Marxer were well known in the folk world, both together and individually, before they ever recorded a note of music for children. But they recorded a trilogy of albums for kids that is some of the best kid’s music out there. They have a sweetness that is never cloying, and the music swings and sways. What I Want is a Proper Cup of Coffee has the same appeal to kids as the Dr Seuss classic Fox on Sox. This is a tongue twister, only set to music. Trout Fishing in America has devoted their entire career to making music for kids and their adults. There are very few songs in their catalog that miss the mark. What comes through is their warmth, and their willingness to take kids seriously. Billy Jonas plays percussion on found instruments. His stage set up includes plastic drums in various sizes, as well as other odd percussible items. The emphasis is on rhythm. Jonas also makes the point that anything can be an instrument, and anyone can play something. This is as empowering to kids as the tale of Abiyoyo. Did you know that Jessica Harper, the actress, was also a fine source of music for kids? This could easily be nothing more than a vanity project, but her kid’s music is the real deal. All of the key elements are in place: strong rhythms; sensitivity to a kid’s point of view; and a sweetness that never becomes cloying. A Crazy Machine is about a toy that seemingly does everything, although no one is sure how. Yes, this is another take on The Marvelous Toy. It takes guts to take on a classic like that, but Harper pulls it off. Last week onStar Maker Machine, our theme was Similes. Because the title of this song is not a simile, it was not eligible. But Old Simon Stimson uses skewed similes in a way that shows that Peter Mulvey has a talent for irony and a wonderfully sly sense of humor. 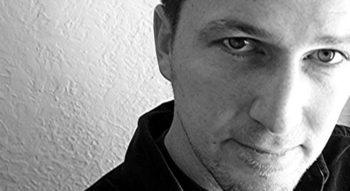 Old Simon Stimson was my introduction to the music of Peter Mulvey. I was drawn in first by the irresistible groove. I only discovered the lyrics later. Since then, I have further explored Mulvey’s music. He is now on my short list of artists who I can always trust to deliver the goods. Plate Tectonics is a perfectly crafted pop song. It has a killer hook. The lyrics are imaginative, equating the drifting apart of the continents to the growing distance between the people of earth, and then to the drifting apart of two people in a relationship. The metaphor is handled just right, and never becomes heavy handed. The song is crisply recorded, with each part clear, but with the group sounding like a whole. And lead singer Django Haskins puts just the right amount of emotion into this performance. In various ways, the rest of Walk On Thin Air shows just how difficult it can be to create a Plate Tectonics. The best of the rest of the album offers more subtle pleasures, while the lead track, Til My Voice is Gone, comes closest to pop perfection. The Old Ceremony impose certain limits on themselves, and create a fascinating sound by working within those limits. The band has the usual drums and bass, but then it gets interesting. There is a violin; one member plays vibraphone, organ, and synth; and the leader plays guitar, piano, and optigan. That optigan provides a major clue to where this band is coming from. The optigan is a sort of toy keyboard that was only produced between 1970 and 1976. The sound quality of an optigan is poor, but unique; it uses optical discs to simulate, (not very well), the sound of various instruments. Perhaps you have seen Fantasia, and you remember the sequence where the “soundtrack” appears on screen. This is optical recording. Now imagine a playback system that produces further degradation of the sound quality, and you have the optigan. Similarly, the synthesizers used here are the old analog ones. 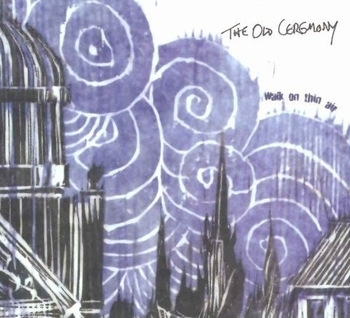 The Old Ceremony is not trying for the most up to date sounds by any means. Rather, they are mining the technology and sounds of early 70s rock. This was a time when one branch of psychedelic rock was morphing into progressive rock. The songs here are short and to the point, but have that feel. And the band presents a remarkable range of musical settings. There are several flavors of keyboard based ballads, and rockers with a variety of grooves. In particular, Ready to Go really cooks, while Murmur is a beautiful mostly acoustic piece. Django Haskins has a good ear for melodies. This tunefulness is enhanced by Matt Brandau’s bass playing. Remember, there is never more than one guitar, and the keyboards often play washes of sound, so Brandau has a more important role to play than in a typically configured rock band. He handles it beautifully. Haskins has certain habits and preoccupations. Many of the songs start with one or two instruments, and the full band joins in on the first chorus; this technique is a favorite of mine as a listener, but here it threatens to become a cliche. And I don’t know anything about Haskins’ health, but many of the lyrics make reference to medical conditions. Til My Voice is Gone is a meditation on mortality where the narrator has apparently been told that he has not long to live, but the song is also an affirmation of living life to the fullest. The Disappear starts with a man calling in sick from work. And Murmur, on the surface, is about a woman with a heart murmur, but it is also a wonderfully subtle love song. Haskins’ lyrics are little poems. Ready to Go takes the title phrase and uses it as the tag line for each of three verses; in each verse the phrase means something different, and there is a powerful cumulative affect from these shifts in meaning. Walk on Thin Air finds a man contemplating how much emotion to invest in a situation, and wondering if he let himself love to much. And the metaphors in Plate Tectonics and Murmur work beautifully. But just reading the lyrics to all of these, they can seem a little twee. Haskins has created musical settings the really put these over. The production here is somewhat uneven. Of course, Plate Tectonics hits it perfectly. In addition, The Disappear features guitar, vibraphone, violin, drums and bass, and the combination is recorded beautifully. This one has almost a Brazilian feel to it, a lush romanticism that suits the song perfectly, but is never overdone. But Someone I Used to Know is an uptempo rocker that sounds fairly ordinary compared to the songs around it; it is also an example of an attempt at a bittersweet song that does not resonate. And Boy Prince is marred by muddy production; Haskins sings through some kind of electronic filter that does his voice no favors, and the instruments cannot be heard as clearly as I would like. So we have one perfect pop song. A number of songs with great matches of lyric with musical setting. Fascinating musical textures. And a couple of misfires. Most bands would be happy to do so well. And I look forward to hearing what The Old Ceremony comes up with next. 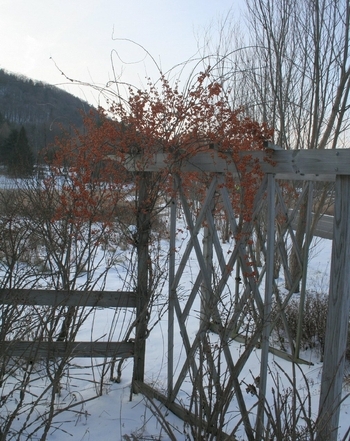 The plant called bittersweet is shown above. It has very beautiful flowers and berries, and both the leaves and the berries are poisonous to humans. Thus, bittersweet is a fine word for an emotional state were happiness and regret are mingled together. When songwriters tackle this emotional state, they can fall into one of two traps: they can go to far into the regretful part, resulting in a maudlin mess; or they can go too far the other way, producing a song whose happiness seems forced and false. So, when a song strikes the proper balance, it can lodge in the listeners head, and a great song may result. Where does that balance point lie? As will be heard in the examples below, it can vary from songwriter to songwriter. Big Head Todd and the Monsters provide our title track. The emotional state resides in the present, in the nagging doubt that a relationship is not all it could or should be. There is also the sense that this couple cannot take this any further. Each verse is a snapshot of a different point in the relationship, and yet the doubts persist. This track is a remarkable piece of songwriting, in that it captures the bittersweet emotion in the present tense. Bittersweet emotions usually are tied in with nostalgia. Here, Randy Newman takes us back to 1903. The song dates from the early 70s, so we know that Newman is not writing about a personal memory here. Rather, he has created an imaginary past. The regret in this song is implied; Newman has set his song so far in the past to establish that this couldn’t happen any more. Sadly, that may be even more true today. Life in a Northern Town has the feel of a personal memory, perhaps embellished by the passage of time. The lushness of the arrangement only enhances the sweetness of the memory, and the ache of knowing that there is no way to return. Iris Dement also remembers the hometown of her youth. But, unlike the Dream Academy, Dement uses a spare arrangement. This also works well, at least for her. Joni Mitchell remembers not a town, but a specific place where her character hung out in her teen years. She also remembers a specific song that was on the juke box. This specificity increase the ache. Joni Mitchell is one of the few artists who can take the emotion this far into regret without the song becoming maudlin. World in Motion was written and originally recorded by Jackson Browne, one of my favorite artists. So why am I featuring a cover version? In the 1980s, singer/ songwriter music was at a low point. It was thought to be a commercial kiss of death to be considered in this category. Artists who had thrived ten years earlier had to either adapt, or face dramatically reduced sales numbers and the risk of being dropped by the label. So someone at Jackson Browne’s label had the less-than-brilliant idea that Browne should record a new-wave album. The resulting album had a heavy handed 80s production, which even included Browne singing through a vocoder. The album still stands as Jackson Browne’s worst, all these years later. 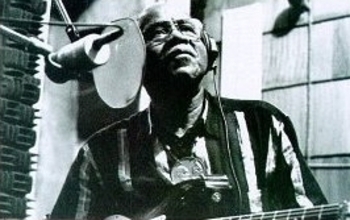 Pops Staples realized something that was hard to hear through the production: World in Motion is a fine song, matching the quality of anything Browne has ever written. So Staples set out to cover it. Somewhere , he got the idea to use Jackson Browne and Bonnie Raitt as background singers on the song. So, to me, it sounds Staples gave Browne a chance to redeem this song. Ironically, the production here sounds like Browne might have sounded if he had recorded it his way. So I think of this as the real World in Motion. To my regular visitors, I want to say, “Don’t Panic”. Oliver di Place is not about to become a mainstream country blog. But I do feel that there is a place for this here. To newcomers who are here because of a search result for George Strait, I also have a message. First, welcome. And second, I hope you will stay around after you have taken in my review of Twang. Look around, listen to some tunes, and maybe discover a musician you never heard of before. And third, I’m sure many of you are more knowledgeable about mainstream country, and about George Strait’s career than I am; please feel free to share that knowledge in the comments. I first got into country music in the late 80s/ early 90s. I had a girlfriend who enjoyed going to bars to dance to the local country cover bands. These bands couldn’t afford to try to reproduce the full blown productions of the original recordings. So they performed stripped down versions, which emphasized the song. I learned that country songs were uncomplicated expressions of honest emotion. I learned that this emotion had to be conveyed by the singer and the instruments, especially the melodic instruments, such as fiddle, pedal steel, lead guitar, and piano. If the emotion cannot be felt in the performances of any of these key players, the whole thing falls apart and sounds maudlin and fake. Just as the best of the cover bands met this challenge, so did the best artists on country radio at the time. But recording artists faced the additional challenge of avoiding overproduction. A great country song may have swelling strings and other studio adornments, but it must never sound like the producer is trying to force the listener to believe the emotion. Country music has changed greatly since then. Some of the artists who used to heard on the radio would now be considered alternative country, and mainstream country radio would never touch them now. But, in my view, the same standards of artistry apply now as then. I can partially assess the current state of country music by listening to the albums I have been sent that fit this niche. I have an album by a songwriter who doesn’t seem to have found her own voice; she seems to be writing for a mass audience, and can’t find the emotion to make her material work. I have another album by a songwriter whose work I really like, but the production on his album overwhelms the delicacy of his songs. 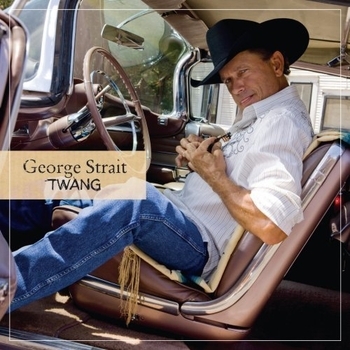 And I have Twang, George Strait’s new album. George Strait is an artist I do not have to introduce. He has established himself as a brand in the world of country. And, as such, he has reached a point where he can make the music that he wants to. And Strait can choose the songwriters and producer he wants. In this case the producer is Tony Brown, a country brand name in his own right. Twang opens with the title track. This is a song about a man who has worked hard all week, and is looking forward to going out Friday night, putting five dollars worth of quarters in the juke box, and enjoying some country tunes. This could be a statement of theme for the album. It’s almost like Strait is saying that it is time to reclaim country music, to show what it really is. So here are heartbreak songs, songs of new love, good time party tunes, in short a survey of some of the classic country themes from the time when I first discovered this music. There is an outlaw ballad and a Cajun number. It can feel like Strait is explaining a formula for how to make a country record. But mostly, it doesn’t. And that’s because Strait and his musicians believe in this material. Strait’s singing has held up well over the years. His voice has developed a slight catch, and he has learned to use it to good advantage. And the band is first rate. I particularly enjoyed the fiddle playing of Stuart Duncan; he has the sweetest tone I have ever heard, and he can convey a great variety of emotions with his playing. For the most part, the lyrics here are serviceable; it is the performances that make the whole thing work. But, the are some standouts. Where Have I Been All My Life is a meditation on aging; the narrator wonders how he could have failed to appreciate certain things when he was younger. It’s a theme I’m not used to hearing in a country song, and I found it refreshing. Easy As You Go is a story I don’t want to give away; suffice it to say that the tale is told with great subtlety, and in a nonjudgemental way. I wound up rooting for characters I might have not been able to be so kind to in real life. And Arkansas Dave is the outlaw ballad I mentioned, the kind of song Johnny Cash used to do so well. The song is an original by Bubba Strait. Key details of the story are left out until absolutely needed; this adds an element of suspense that I found very appealing. The Breath You Take is one of those father and son songs that has to be recorded just so; this kind of song can turn into the worst kind of tearjerker. But here, the production puts an emotional lump in your throat, but it is not overdone. Of all the songs on the album, his would have been the easiest to mess up; kudos to all around for giving this one just what it needs. So Twang breaks very little new ground, but that is not its job. It stands as a solid example of what country music sounds like when done right. Last week, I presented songs about dogs. Most of these featured people interacting with actual dogs. Only Atomic Dog was about a human being behaving like a dog. But this week, the cats have their turn, and the situation is reversed. It says something about our feline friends that songwriters usually talk about behaving like a cat, instead writing about cats themselves. Stray Cat Strut is all about attitude. 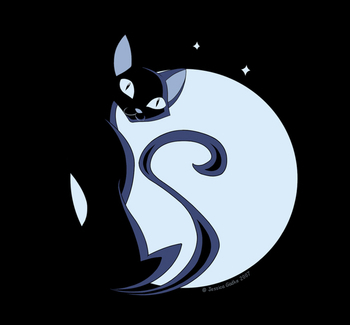 The cat is an independent creature, who needs no one but himself, and that is what the narrator of the song aspires to. This cat is aloof, and somewhat belligerent, and he seems to imagine that these qualities should make him very appealing to women. Squeeze recognizes that this cat toughness is a pose, one that often backfires. The narrator of the song gives examples of this posing gone awry: the Indian squaw who turns the tables on her cat-strong captor, the two-bit gangster who gets caught before he can carry out that big job. Finally, the narrator turns the spotlight on himself. Everyone is telling him that he’s got to be cool, but he can never quite manage it. But he finally does enjoy a small success with the ladies. This really isn’t an 80s post. Cab Calloway certainly doesn’t belong to that era. But I did first heard this song done by Joe Jackson. Can you guess what decade that came out? The song itself is nothing more than a group of musicians patting themselves on the back. But this really swings, so they deserve the kudos. Finally, there is this classic piece of folk music. This song is about a real cat. And the cat chooses his human, not the other way around. So this one too is about attitude. I run this blog for the love of it. I am more than happy to share this wonderful music with you. However, it has become something of an expensive hobby. So, I have added a donate button to the blog. I know these are hard times, but I am asking those who can to help me to continue bringing Oliver di Place to you. All donations will be used to make this blog the best it can be. Thank you. I was in college when Lene Lovich’s album Flex came out. In fact, I was just getting started as a music reviewer for the college newspaper. And Flex was one of my first assignments. As the most junior reviewer on the paper, I’m sure looking back at it that I got the stuff nobody else wanted. If anyone at the paper knew her music at all, they knew Lene Lovich from her club hit from her previous outing, Lucky Number. So they knew that she was prone to explosions of odd noises from her throat; she was, vocally, a disciple of Yoko Ono. But Flex contains the song The Freeze. Here is one of Lovich’s calmest and most controlled vocal performances. The song is a march. 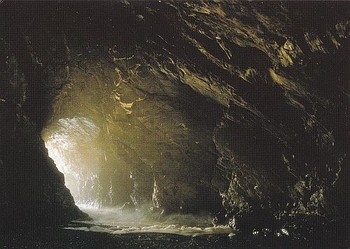 In my mind as I hear it, I see a long line of men and women marching up a path to the entrance of a cavern that has been built in the side of a mountain. There is a crowd gathered to see them go; “the lucky ones are waving us goodbye.” The cavern, as I see it, contains a large number of cryogenic chambers; the marchers are going away to be frozen. I have never figured out why this is being done. Lovich is interested in capturing the moment, not explaining it. You can feel a chill wind blowing through her performance. The unanswered questions posed here add to the sense of mystery. As much as I enjoy songs with powerful imagery, I have never found another example that planted such a strong image in my mind. I grew up in a musical household. My oldest brother came to love jazz, and introduced me to the music of Anthony Braxton and Ornette Coleman. The same brother and my parents enjoyed modern classical music, so I heard Alban Berg and the more atonal music of Kurt Weill, as well as Stravinsky. I was also introduced to the music of Phillip Glass, who I have kept bumping into ever since. And my father once took me and my brothers to see Ravi Shankar in concert. I didn’t enjoy all of this music then, and there is much of it that I still don’t, but the exposure definitely had an affect on me. Years later, I sang in an amateur chamber choir with an ambitious conductor. He had us singing modern classical works, and while my co-choristers slaved over the odd harmonies and rhythms, I found that this music seemed fairly natural to me. I mention all of this by way of warning. 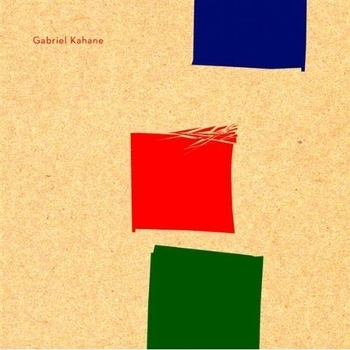 The music on Gabriel Kahane’s debut album seems different, but I understand the difference, and I find this to be wonderful music. But, to some listeners, this music may seem strange and off-putting. My advice is to take the time you need to let this album grow on you, and to understand its logic. It may feel like work, but the rewards are great. To begin with, I don’t think that it is fair to an artist to post an entire album, but having to choose two songs here meant removing them from their context; that matters here more than with most albums I review. Kahane’s album is a song cycle. There are vocal pieces separated by the occasional instrumental interlude. These interludes restate a musical theme we have just heard, or they anticipate a theme we will hear next. And there are musical motifs that appear in a song, only to reappear in a later song in altered form, as a comment on the differing emotional climate. All of this would suggest that Kahane is familiar with modern classical music, and that is indeed the case. He comes from that world. Kahane is a classical composer, and his father is a concert pianist specializing in modern works. But his singing here is in what I will call, for lack of a better term, a folk-pop style. His voice reminds me somewhat of Bruce Hornsby’s, but with a lighter tone and with occasional falsetto swoops. And the instrumentation suggests that Kahane’s musician friends include not only classical players, but also jazz and even folk musicians. Kahane plays piano, and he is joined by at least twenty other musicians; there are strings, brass and woodwinds here, but also drums, acoustic guitar, mandolin and banjo. Twenty plus musicians would qualify as a chamber orchestra if they were all used at once, but that never happens here. Villanelles uses just acoustic guitar and mandolin. Elsewhere, Kahane uses a light touch, bringing instruments in and out of the mix as needed, and never going for a power sound. Durrants opens the album, and here is the clearest influence of Phillip Glass. 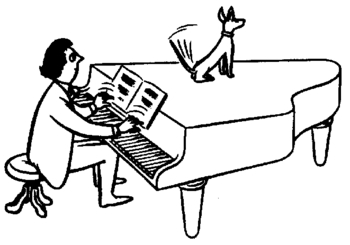 The song begins with a figure played on the piano, and the rhythm seems clear. But soon other instruments begin to enter and exit the mix, and with each change, the rhythm seems to shift. In Glass’s music, these shifts occur gradually, and the music undergoes a gradual metamorphosis. But Durrants has a running time of only 3:39, so these shifts come far more rapidly, and are therefore more unsettling. This perfectly suits a story of a couple who take a trip to try to save a failing relationship. Lyrically, Durants serves as an overture for the album. From here, we go on to meet couples whose relationships are in various states, but all of whom have a degree of unease. There also individuals who seek refuge or solace. And travel is a theme that keeps coming back. Underberg is a building which is a famous landmark in Brooklyn, and which was scheduled for demolition as this album was being made; Kahane, in the song Underberg, uses this as a metaphor for the state of a relationship. North Adams describes a ride up the Taconic Parkway as a rush to freedom. Slow Down describes a woman who has found escape from city life and is communing with nature; the song has lush imagery and a remarkable meeting of acoustic and orchestral sounds. And The Faithful depicts a woman whose faith in others is tested over time, and endures. I could excerpt lyrics to illustrate the poetic qualities of the words, but I come up against the question of context again. These songs are best taken as a whole. Suffice it to say, the level of musicality here is no surprise when you know Kahane’s background. But the quality of the poetry is most unexpected. My advice to my readers and listeners is: take a chance on this album and get to know it. It may be unlike anything else in your collection, but you’ll be glad you have it. So here I am, doing a theme set of songs about dogs. Funny thing, I don’t even like dogs. But they do seem to inspire songwriters in ways I very much enjoy. There is humor and sweetness here, as well as some of the same feelings I have about dogs, but set to music. Based on the evidence of this song, Nellie McKay is a dog lover. And she makes a strong case for them. Here is a woman who has found a cure for loneliness in the company of her dog. It may not be as fulfilling as a relationship with another human being, but it is also not nearly as complicated. On her debut album, Nellie McKay’s music was as varied as the sounds one might here on the streets of her native New York City. I haven’t able to keep up with her more recent work, to see if she has settled down. Jane Siberry takes Nelly McKay’s feelings to their logical extreme. Siberry finds her feelings about her dog reflected in every aspect of the world around her. This is usually, but not always, a good thing for her. Jane Siberry is one of Canada’s musical treasures. Her lyrics are often surreal, and her music is vastly imaginative. Everything Reminds Me of My Dog is one of her most conventional songs, and highlights her charm. To fully appreciate her range, also check my post of her song The White Tent The Raft on Star Maker Machine last week. Leo Kottke’s Pepe is, I imagine, one of these small terrier type dogs that believes that anything that happens is an occasion for yapping. The only dogs that make me crazier are these gigantic mutations that think they are lap dogs. I had an akita do that to me once. I’m six foot four, but I needed to be rescued. Leo Kottke is best known for his instrumental work on acoustic guitar. But occasionally, he also sings. Kottke doesn’t think much of his own voice, having described it as, “ geese farts on a muggy day”. This also gives some idea of his sense of humor. Some dog owners get carried away with their love for their pet. Here, Gaye Adegbalola’s character gets involved with a dog lover. He constantly compares her to the dog, and she just can’t compete. It makes a very affective, if unusual, subject for a blues song. Gaye Adegbalola was one of the founding members of Saffire - The Uppity Blues Women. The Dog Was Here First comes from her solo debut, from 1999. She’s still at it, and her music continues to win major blues awards. Adegbalola is well aware of the tradition of female blues singers, going back to Bessie Smith and beyond. Finally, I could not post a set of dog songs, and not include this one. this one had a great music video, which MTV wouldn’t touch. I wonder how music might be different today if this had broken the color line on MTV, instead of Michael Jackson. George Clinton had been well known to funk fans for many years, as the leader of Parliament and Funkadelic. But it was the 80s before he began recording under his own name. This music is female. No, I don’t mean feminine. And no, I don’t mean the artist is female, although she certainly is. I mean that the music itself is female. It feels the pull of the moon. It follows cycles within songs. And it has an ebb and flow, like a tide. 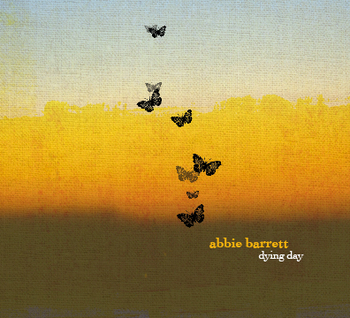 To begin with, Abbie Barrett has a rich alto voice. She can go from a breathy almost whisper to belting it out. She never has to strain, and she matches her tone perfectly to the emotion of the song or the moment. And that’s important, because there are many emotional shifts and bursts here within the songs. Barrett writes here for a full band. I’m not even sure that I would want to hear her perform solo. There are drums, bass, electric and acoustic guitars, percussion and keyboards. There is a banjo on one song, horns on another. All of this might lead you to expect a big sound, and Barrett does deliver two outright rockers here. But most of the album is more subtle, and better for it. What the full band does do is deliver solid rhythm on every track, including executing some tricky sudden shifts in rhythm within a song. I hope that not all of the narrators here are Abbie Barrett. There is too much heartbreak here for one person to bear. The songs are mostly in the first person, and tell of expectations shattered, relationships gone wrong, and hurtful behavior. In Train, Barrett sings, “... I sense the danger. It might even turn me on”, and that provides a key to these songs. Her characters leap headlong into relationships, never expecting them to last, but enjoying the ride while anticipating the hurt at the end. Train describes this brilliantly, using the metaphor of a ride on a train with no brakes to describe a relationship from start to finish. Stillborn, equally brilliantly, equates a relationship to a pregnancy that culminates in a stillbirth, an outcome the narrator finds that other people are unwilling to discuss. The two rockers come back to back in the middle of the album, and each is an eloquent brush-off. Not all of the songs are hopeless or angry. Dying Day is almost a lullabye, welcoming the rest of night, after a rough day. And Bide My Time has a narrator who waits patiently, and with confidence in the ultimate outcome, for a woman to realize where love lies. And these songs are sequenced in a way that provides relief. Most of the songs convey motion. The narrator starts in one place emotionally, and arrives in another place by song’s end. The exception is Night Driving. Here we find a woman who fears that arriving at a destination will bring failure. So she just drives. She is avoiding facing something, so she is stuck. She is in motion, but going nowhere. As rendered by Barrett, this is a fascinating paradox. I’ve spoken more about the lyrics, and about the words to more of the songs, than I normally do. And I do thoroughly enjoy the music as well. Dying Day marks the arrival of not only a musician, but also a poet, to keep an eye on. Normally, when an artist sends me an album, I decide whether to review it. I do not use it for any other purpose. The music here ranges from folkish singer-songwriters to rootsy rock to occasional world music. Normally, I wouldn’t be featuring a Black Sabbath song, no matter what somebody did with it. And normally, For a Song wouldn't be featuring a cover of anything. But, sometimes, exceptions must be made. 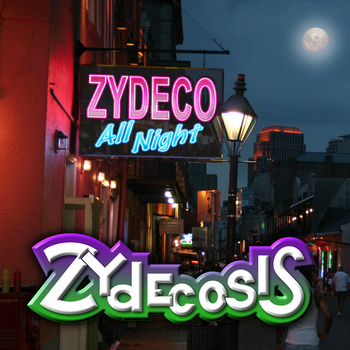 And Zydecosis is anything but normal. Steve Junot had the crazy idea of combining hard rock and zydeco. The Louisiana resident knew some area musicians who had the talent to pull it off and were game. And Zydecosis was the result. This is great party music that I wanted to share as soon as I heard it. But, I didn’t want to take the fun out of it by overanalyzing the tunes. So this is my solution. The song are all covers, and some work better than others. But, overall, this is a party I want to attend. Paranoid answers a musical question most people would never think to ask: “What would happen if the Neville Brothers and Clifton Chenier collaborated on Black Sabbath’s classic?” The answer is a New Orleans street party. Bon temps roullez!